A kidnapped boy disrupts a small Connecticut town’s holiday season. As harassing calls and death threats attest, Idyll doesn’t appear entirely ready for a gay chief of police in 1997. After nearly a year, Chief Thomas Lynch, a former NYC homicide detective, still doesn’t feel quite comfortable in his rural community despite its Christmas-card charm. When 6-year-old Cody Forrand vanishes in the snow, Lynch tries to focus on the job and not the fallout from coming out to his staff. A rare neurological condition that makes Cody impervious to pain means he won’t know when he’s getting too cold for safety even if he has, as his parents hope, simply gone outside to play. As hours pass, worry mounts that the boy was abducted, and Lynch loses points for not organizing a more effective search party and not calling in a rescue dog he didn’t know the staff had. Cody’s sudden reappearance outside a grocery store in a Hartford suburb raises more questions than it answers. His memories of being lured into a car by a person disguised as his favorite TV hero are blurred and perhaps not even accurate thanks to the drugs he was dosed with. What’s even more puzzling is that the kidnapper took him farther south before turning north again and dumping him. Even after Cody’s safe return, Lynch still hopes to find the perp—and to solve the case of a candy store break-in, collar an arsonist, and discover who spray-painted FAG on his Crown Vic. Then Cody disappears again. With the help of the FBI, including a handsome agent who takes more than a professional interest in Lynch, and clues ranging from a car with an “old lady” smell to an ill-fitting mask and a cocker spaniel puppy, Lynch begins to think the unthinkable about the second kidnapping. 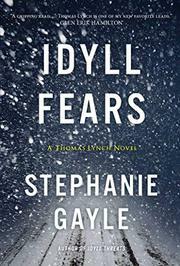 Hobbled only by a monotonously terse style, Gayle’s follow-up to Idyll Threats (2015) is believable in both characterization and the ebb and flow of police detection.